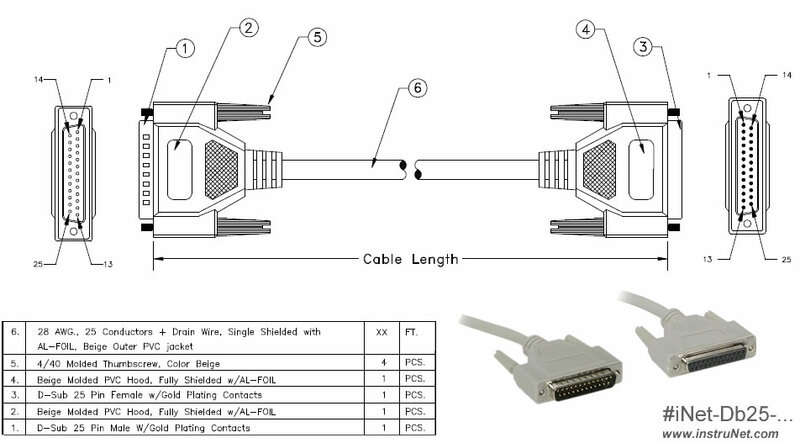 Db25 Male to Db25 Female cable connects i2x0 controllers to i100/i4xx Devices. These are wired pin N to pin N.
Several different lengths are available. For a list of these, click here. For example, part #iNet-Db25-10ft is 10ft (3 meters) long.